‘Αρθρο των μαθητών στο Γυμνάσιο Παναγίας Θεοσκέπαστης για τα πλαστικά καλαμάκια το οποίο έχουν γράψει στα πλαίσια του παγκόσμιου διαγωνισμού Νεοι Δημοσιογράφοι για το Περιβάλλον! In 2015 alone, plastic consumption worldwide totalled a whopping 300 million metric tonnes, which translates into 40 kilos of plastic per human each year -91 percent of these ends up in landfills or the ocean (University of California, 2017). 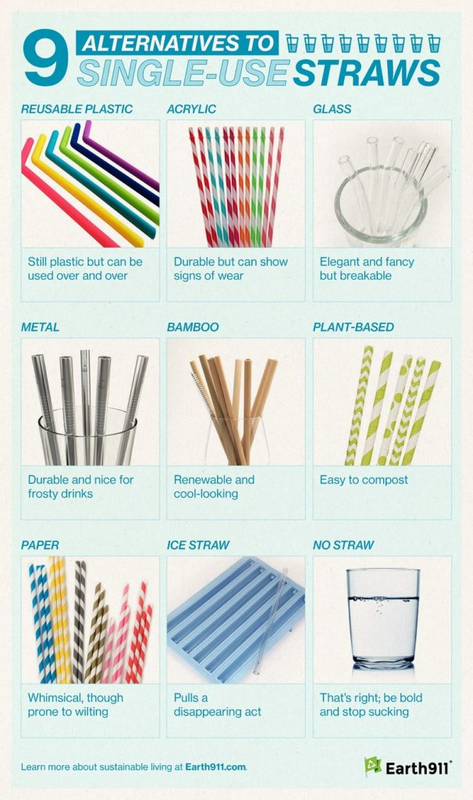 Among that it is estimated that 437 million to 8.3 billion plastic straws are currently polluting the world’s coastlines and since they are not biodegradable, they are not going anywhere for at least the 200 years it takes them to decompose. Straws comprise however only a small percentage of the overall plastic waste so why are they currently such a big target? The problem lies in their size. Being so small and lightweight people often forget to recycle them or even when they do, they don’t make it through the mechanical recycling sorter. Taking into account that the average person uses 1.6 straws per day, just by convincing 25,000 people to stop using them, we would prevent 5,000,000 straws from entering oceans and harming wildlife. Humans have actually been using straw-like tubes for centuries going all the way back to Ancient Sumerians, 5,000 years ago. Marvin Stone however, a cigarette holder manufacturer, was the first to create a paper drinking straw in 1888, by wrapping strips of paper around a pencil and gluing them together. During the 1930s straws gained the ability to bend by the Flex-Straw Company and these bendable straws were embraced by hospitals as they allowed patients to drink while lying in bed. In 1969, the Flex-Straw Company was sold to the Maryland Cup Corporation which produced a variety of plastic items and soon became one of the country’s largest producers of plastic straws. It appears the anti-straw movement may have first picked up steam because of a 2015 viral video in which a graduate student removed a plastic straw from a turtle’s nose. The momentum created by the video was enhanced by the statistics mentioned above and kick-started a global effort to fight pollution and to minimise the use of plastic straws. “If we are to protect our oceans from the scourge of plastic, the companies producing and selling it must take responsibility for it and cut down the amount of plastic ending up in our shopping baskets”, Greenpeace UK’s political adviser Sam Chetan Welsh said. USA, UK and the European Union have drafted their own plastic ban proposals and major corporations around the globe have already taken steps towards slowly banning plastic straws. The EU passed a bill that bans all one use plastic items from supermarket shelves by 2021. Starting 2019 in US. California customers will have to ask if they want a straw. Seattle became the first major US city to ban single-use plastic straws with Malibu and Miami Beach following. McDonald’s in the UK has set a goal to replace all food and beverage packaging materials with renewable or recycled alternatives by 2025. Cyprus has launched a campaign to reduce waste in general and particularly plastic waste using the moto “Reduce-Reuse-Recycle-Rethink” through TV spots and school educational programmes. Supermarket chain Lidl Cyprus has recently announced that it will stop selling single-use plastic items such as straws in all of its shops by the end of 2019. It will gradually replace them with products made from “alternative and recyclable materials”. ∙ Reduction of 1,215,780 straws –37% less in terms of items and volume. ∙ Positive Customer Reaction with 98.4% expressing the project was a good idea and 93% would like to see it rolled out in other destinations. → Total cost saving on plastic of €111,000 over 4-5 months. So can we abolish straws completely in Cyprus? All the initiatives mentioned above and the fact that the new laws on plastic bags have cut usage by as much as 85%, a mere three weeks after the charge was imposed show that we can definitely reduce the use of plastic straws even in Cyprus. But while we can do that for most drinks, even the biggest opponents of plastic have a problem with drinking a frappe (our now national pastime) without a straw. Therefore it is our belief that by educating people and highlighting the alternatives at the same time such as Compostable straws, Silicone straws, Cardboard straws, Glass straws and Metal straws, we could slowly ‘break the habit’ and move towards a new greener era in our island, one that will secure cleaner beaches for us and protect all sea life at the same time.